Independent & Group South Australia & Adelaide Tours Packages in 2019/2020 from Travelbag. With its lively cities, arid deserts, jagged coastlines and lavish parks, many of Australia’s natural and man-made icons can be found across the vast expanse of South Australia. Home to less than 10 per cent of Australia’s population, South Australia state is one of the sparsest areas of the country, the land instead given over to epic views of lush rolling forestry and barren deserts. Such untouched virgin territory makes South Australia & Adelaide a captivating holiday destination and a Travelbag tour is perfect way to get the best from this splendid region. 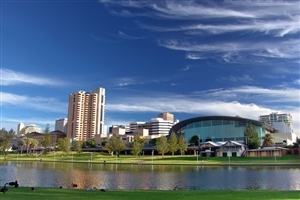 A Travelbag South Australia tour blends visits to the cultural state capital of Adelaide, with passages across the iconic Great Ocean Road, through verdant valleys and onto the great ‘Outback’. Traversing the scenic Great Ocean Road as you head from Victoria into South Australia state, a Travelbag tour is an opportunity to indulge in a more creative side of Australia, where some of country’s finest chefs have based themselves to take advantage of the rich vegetation, the Barossa Valley yields some of the world’s most celebrated wines and Adelaide is earning its place as an up-and-coming artistic hub. Better still, a South Australia tour is a chance to get up-close-and-personal with nature, particularly on Kangaroo Island, where wallabies, koalas and – of course – kangaroos can be found in this ‘open zoo’ as sea lions, fish and penguins call the surrounding Southern Ocean home. Ascend further north into South Australia’s greater wilderness, the rolling landscapes becoming more arid as the Red Centre of the Northern Territory approaches. Such stark scenery is best enjoyed with a trip on ‘The Ghan’, a picturesque railway that links Adelaide in the south and Darwin in the north. An enticing opportunity to discover Australia’s rural heartland, a dream Travelbag South Australia tour promises to be a unique and unforgettable experience. 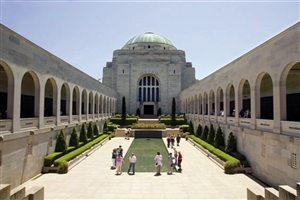 A fantastic opportunity to sample many of Australia’s countless qualities, as well as get off the beaten track, a South Australia holiday is perfect for those seeking a plentiful itinerary on an independent tour, the convenience of an escorted tour or the intimacy of a small group tour. Cover some of Australia’s most splendid territory with Travelbag and enjoy the holiday of a lifetime with our excellent tailor-made tours. For more information about Travelbag’s excellent range of South Australia tours, call 0203 944 2201 to chat with one of our knowledgeable travel experts about creating the perfect South Australia holiday for you..
Admire the dramatic scenery along Australia’s iconic railway line, which stretches from Adelaide in the south, through Alice Springs in the Red Centre and all the way to Darwin in the Northern Territory. Built as a memorial to victims of World War I, the Great Ocean Road wends its way across the southern coastline, taking in a myriad of stunning sights. The ‘Opal Capital of the World’, Coober Pedy is a fascinating Travelbag tour visit with a guided tour of the mine available. Head into Australia’s iconic Outback, where you can learn more about the Aboriginal Adnyamathana people and aboriginal art.